nency leon I am validating that this deal Works as described. 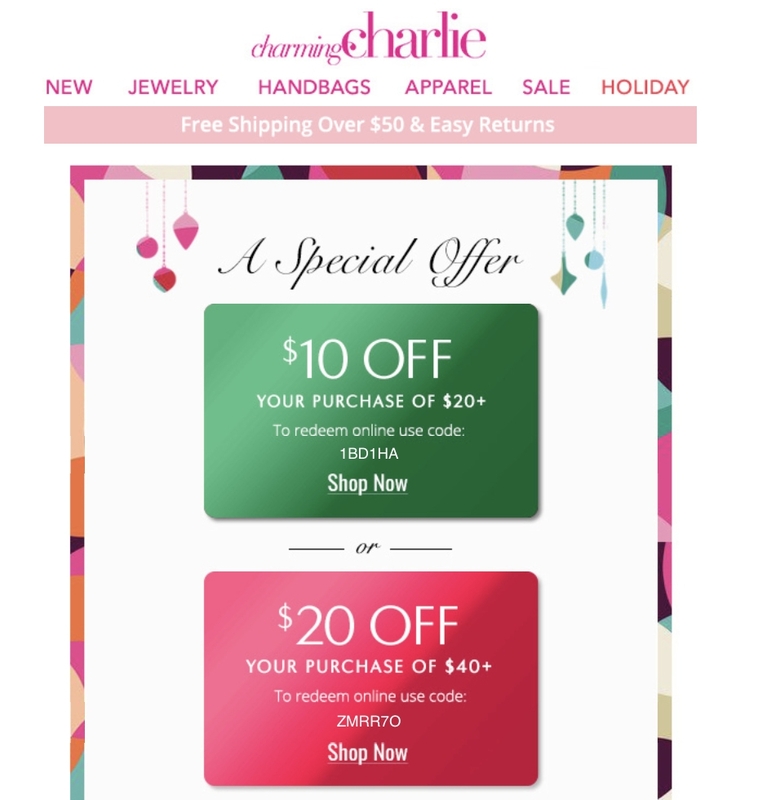 Enter code and Get $10 Off Any Order $20+ at Charming Charlie (Site-wide). This is a limited time offer. D. B Valid at select Charming Charlie retail stores and online at www.charmingcharlie.com. Offer is valid towards full price and clearance Charming Charlie branded merchandise and in-store merchandise promotions. Limit one coupon per day. Not valid nor combinable with any other coupons or offers with the exception of Charm Club Rewards and Birthday Rewards. Must present and surrender coupon in store. Void if reproduced and where prohibited. Not valid on gift cards, returns, exchanges or previous purchases. 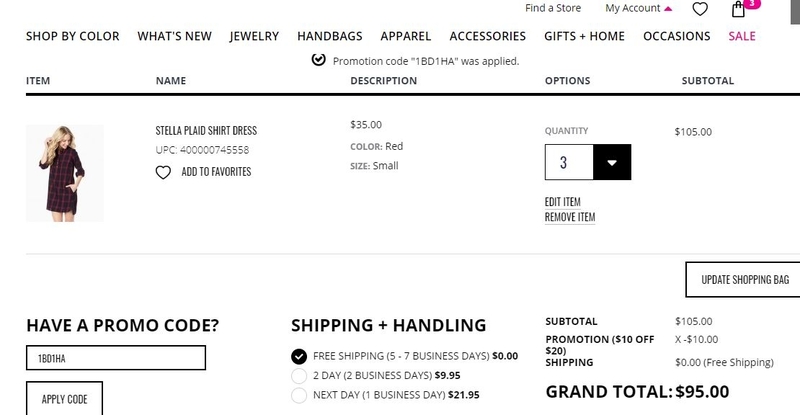 Coupon is not transferable or refundable and is not valid on price adjustments. Offers subject to change without notice. Charming Charlie associates are not eligible to redeem offer. Valid through Date 11/12/2017.